According to Alejandro Kuri Pheres, president of AMPI Mexico City, during the last five years, $32 billion USD has been invested in real estate throughout Mexico, an average of $6.4 billion USD per year. Mexico City, Mexico — The Mexican Association of Real Estate Professionals (AMPI) says they anticipate multi-billion dollar growth for the country during 2018. The association reports that the industry is anticipating investments of between $7 billion and $8 billion USD this year. 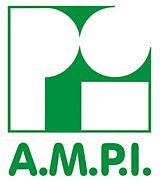 Alejandro Kuri Pheres, president of AMPI Mexico City says, "This year we are talking about an investment of perhaps $7 to $8 billion USD. It is an investment that will be distributed throughout the national territory." Kuri Pheres explained that during the last five years, the Association has accounted for $32 billion USD in real estate investments throughout Mexico, an average of $6.4 billion USD per year. He says that by the middle of the year, approximately $4 billion USD will be invested in the real estate sector by private investors. The promotion projects for 2018, he said, will be related to the industrial corridor of Querétaro-Monterrey, the Bajío, Riviera Maya, Riviera Nayarit and the border area. "This year there will be more dynamism in the Bajío area, specifically in the Querétaro-Monterrey industrial corridor (…) which includes important cities such as San Luis Potosí, Guanajuato, Monterrey, Zacatecas, where there will be industrial parks, logistics, distribution of products and supplies that are triggering very important investments in the region," Kuri Pheres explained during an AMPI conference. He added that the border area has potential due to American pensioners preferring destinations such as Baja California, Puerto Penasco, Tijuana, Rosarito and Ensenada. "The housing sector is going ahead and at full steam," said Kuri Pheres, after saying real estate investments would not be halted by the uncertainty of the upcoming electoral process. "It is not a sector that moves by political occurrences or fluctuations. My approach is that the Mexican economy is one of the strongest in the world and that it will resist any candidate that reaches the presidency of Mexico. The country has the maturity and economic growth to continue regardless of the winning candidate," he added. He also commented on the association's failed attempt to have houses earthquake certified. "While many of us who participated or tried to promote this project did so thinking of the population, a large part of the participants did so thinking of a business. Unfortunately it was a failed project." 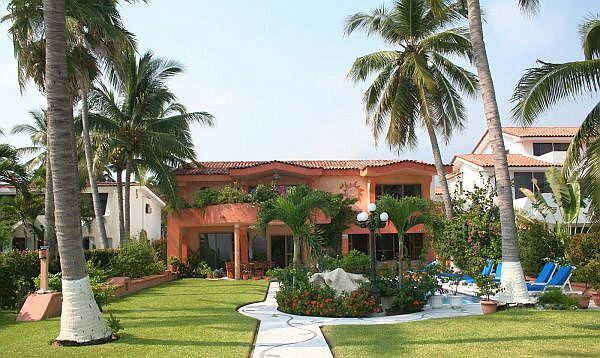 The project, which was analyzed in collaboration with the Seismological Institute of the National Autonomous University of Mexico, was considered an added value to the real estate industry after the devastating September 2017 earthquakes that hit the western region of Mexico killing more than 400 and collapsing more than 50,000 homes. Many of the buildings that collapsed from the 7.2 earthquake were new, some noted as being only 100 days old.